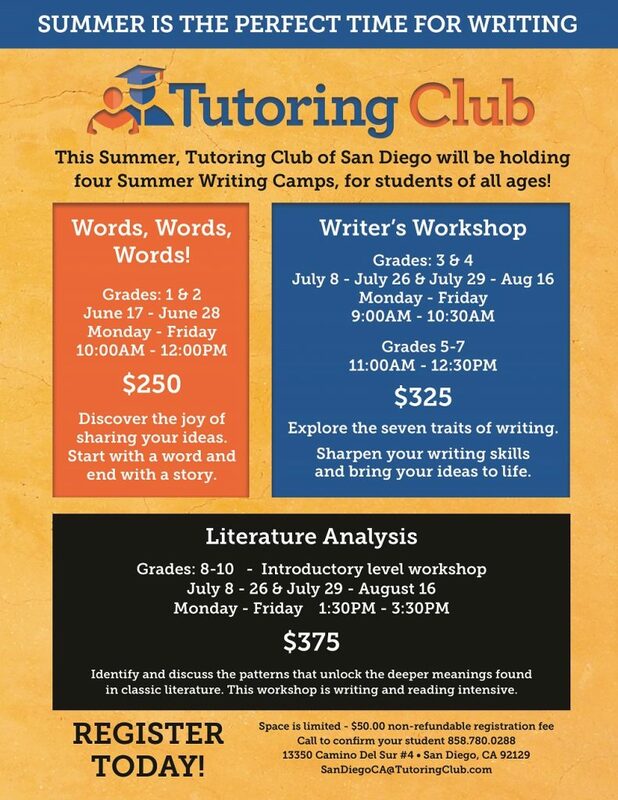 At Tutoring Club of San Diego/Carmel Valley we will help your child on their way to success regardless of their skill level. 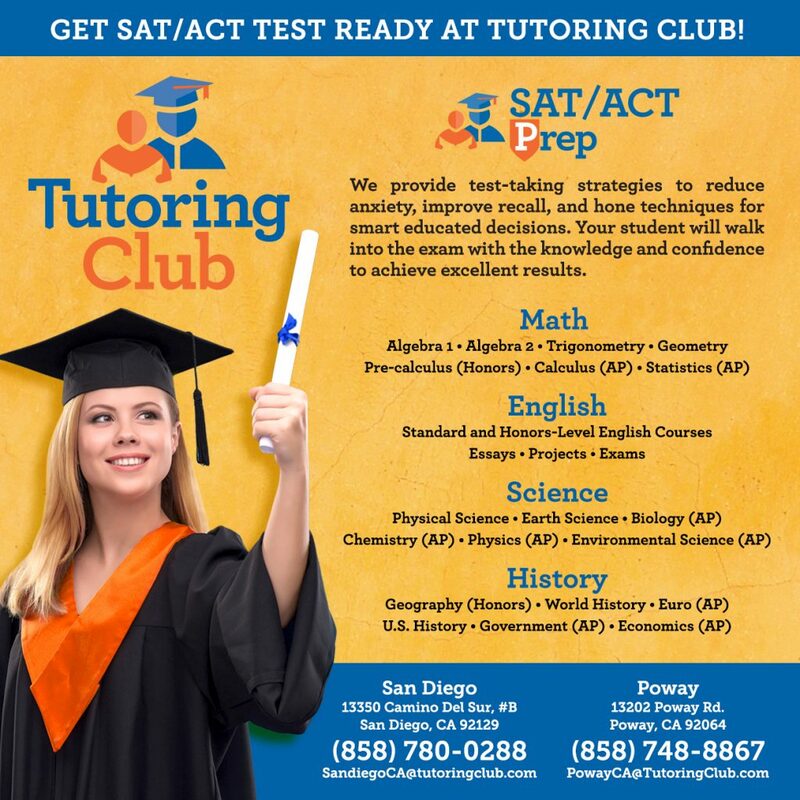 Whether the student needs help with the fundamentals, math, reading, writing, or even SAT & ACT, ISEE, CBRE and GATE Test Prep, our tutors will get them pointed in the right direction with all the guidance that they need. Our individualized approach targets the student's weak points and improves upon them, bringing their ability up to the set goals. By covering key points at the student's own pace, we allow them to flourish and learn at a stimulating and awarding rate. My daughter has been going to Tutoring Club for nearly two years now. She enjoys it and looks forward to her session every week, especially to see her tutor Ms. Jenny. My husband and I have seen how her reading, comprehension and grammar skills have grown significantly. Since going to TC, she has grown to be confident in herself and how she can learn. There's always a need for reinforcement of subjects/topics learned from school. TC does that for our child. Now Ms. Jenny tutors 3 sets of cousins in our family at the PQ/Torrey Highlands location! Mario, Lane and Greydon have all been great to work with. Our daughter is completing 8th grade and going to high school next year. She has a diagnosed learning disability in math, so our friends recommended Tutoring Club, as they had experienced success with their own children. When tested for her math level, she tested on a 4th grade level at the age of 14. She has gone once a week for an hour of tutoring since almost the beginning of the school year. Our daughter's MAP scores increased this year from 202 to 222 since we started the tutoring (226-228 is the basic expected score for an 8th grader) Usually she will complain if she doesn't want to do something, but she never ever complains about going for her tutoring session.